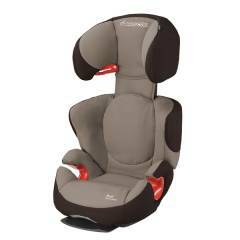 Our Maxi-Cosi Rodi AirProtect® is a very safe child car seat for older children. This version of Rodi combines the versatility of installation using your car’s three point seat belt with innovative AirProtect® technology. Designed for children 15-36kg (or around 3½ to 12 years old) it grows with them for long lasting value. It holds your child securely with your car’s three-point seat belt. And it’s light to carry, making it a convenient choice if you need to move it between cars. 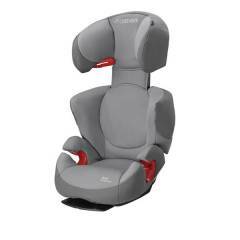 Our Rodi AirProtect® car seat has a reputation for offering great side impact protection for older children. It uses our latest AirProtect® technology for even greater peace of mind when you’re travelling with your child. It has special foam in the headrest, which has been constructed to collapse on impact. This is extremely effective at absorbing shock in a side-on collision, helping to protect the head and neck from damage. An area of lumbar support also offers extra protection for the back and hips. Raising your child up so they can see out of the window, Maxi-Cosi Rodi AirProtect® is designed for comfort too. It has a padded seat and the safe headrest doubles as a handy spot to lean against for a doze. Your car’s seat belt simply fits in the easy glide guides to be positioned at the right level. This ensures optimum safety and prevents the belt from digging into your child’s neck. 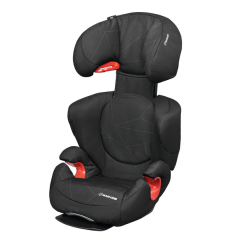 The back and headrest expands quickly and simply to match the height of your child. 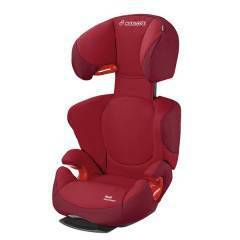 And the back of the Maxi-Cosi Rodi AirProtect® tilts for a choice of reclining positions.